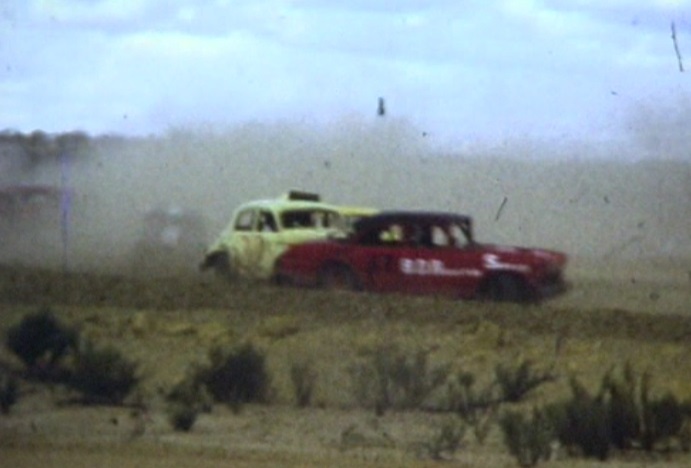 The Merredin Speedway was an oval dirt track built in 1969 by foundation members Les Barnes and Jack Eddy on property owned at the time by Joss Atkinson, Assistance also came from the Merredin Shire Council and many interested volunteers, most of whom eventually become club members. 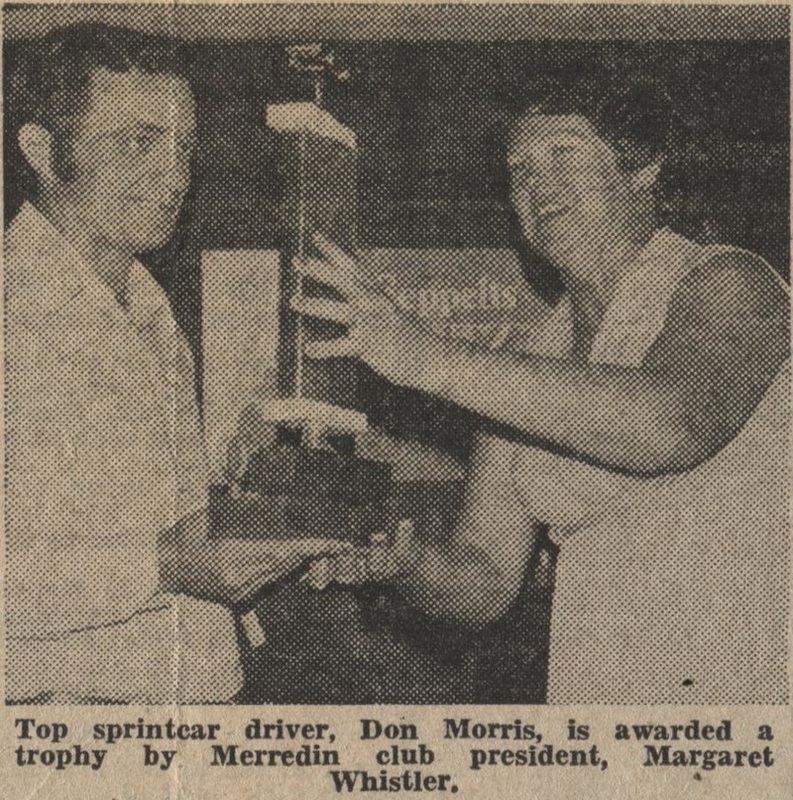 The inaugural president was Les Barnes with Jack Eddy as Vice President, Dianne Barnes would fill the dual roles of Secretary and Treasurer. Initually there would be two committees, an Executive Committee and a works committee. 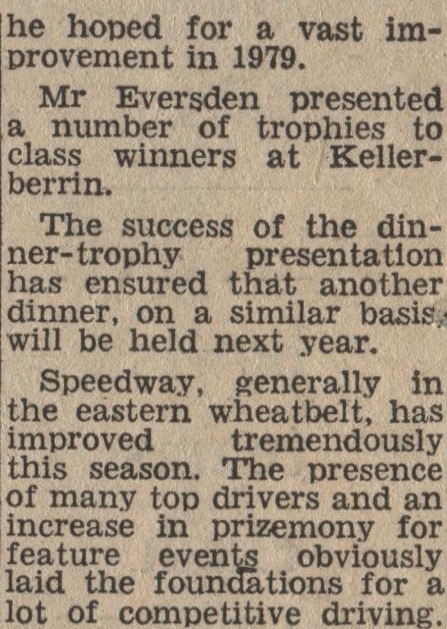 Divisions racing at the track were Stock Standard, Standard Saloon's, Division 1 Saloon's, Supermodified / Sprintcars, Speedcars and Tq's also ran when sufficient numbers arrived on the day. 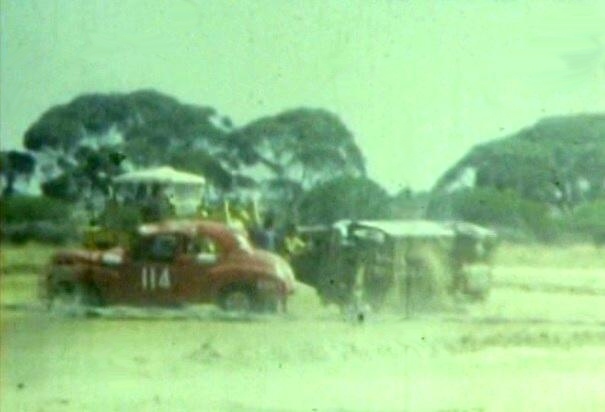 When the Merredin track opened it was the only track in Western Australia to have a concrete curb around the inside edge of the racetrack. 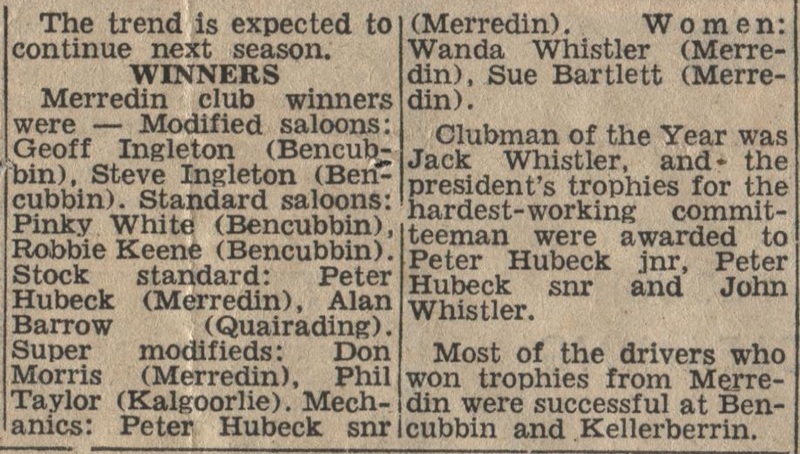 The club grew fast and became very strong in numbers. 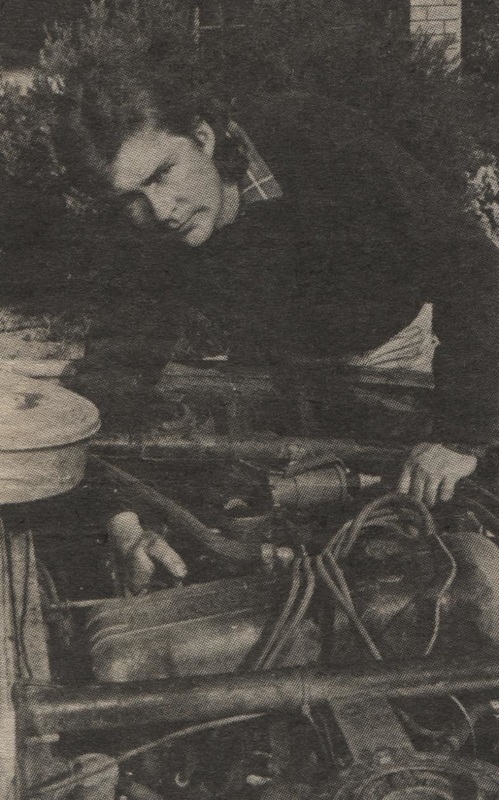 Les Barnes. Photo: Nathan Fletcher. 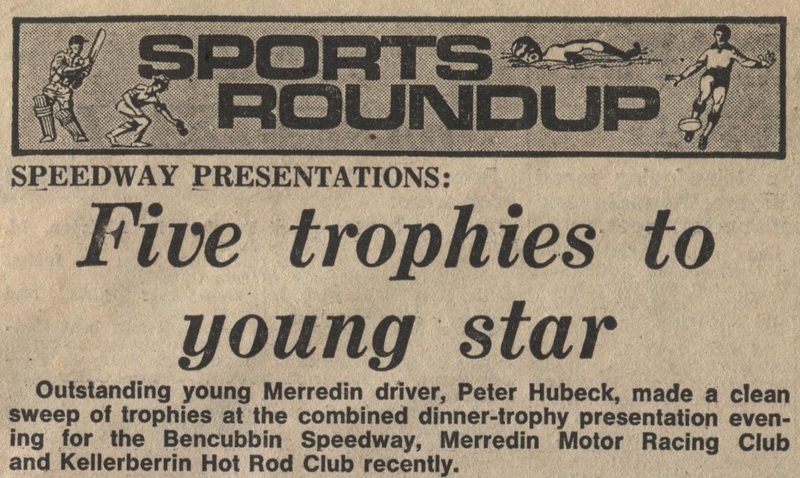 Merredin Speedway was operated by the Merredin Touring Car Club, in its heyday it was a major complex involving not only quality speedway but both Karts and Motorcross. 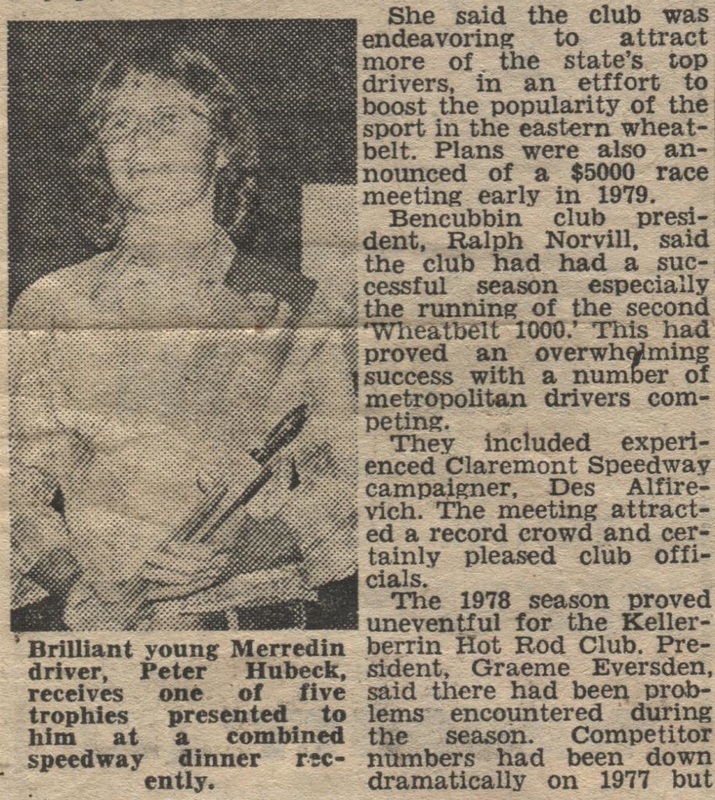 In the seventies everyone went to Merredin State titles, Formula 500 Grand Prix rounds, solo and sidecars and even Sprintcar (King of Wings) meetings. 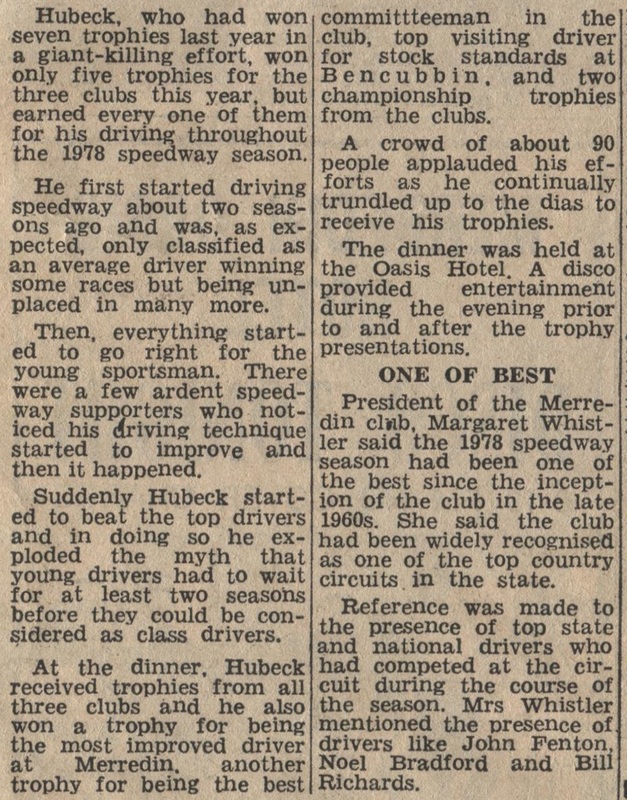 The committee back then involved local people like Margaret Whistler and Peter Hubeck, The club had a strong contingent of local cars and was supported by many drivers throughout the wheatbelt. 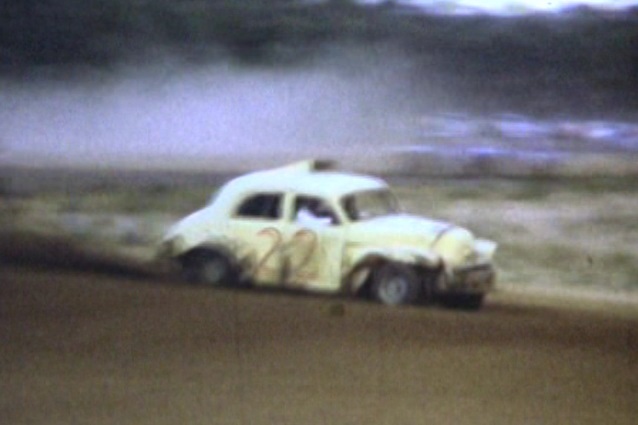 The track closed in 1982. 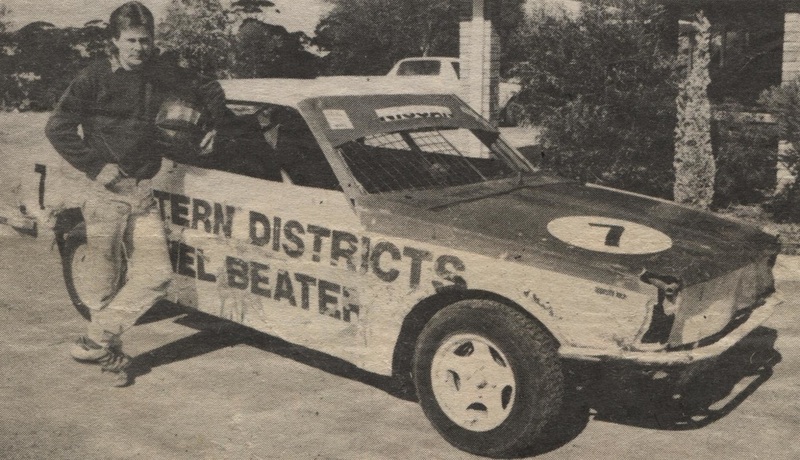 The Easter meeting was an annual event hosted by the Merredin club, the meeting's were well supported by many of Claremont Speedway's top sedan car drivers, Later interest fell away as Claremont Speedway started to run there own Easter meetings. 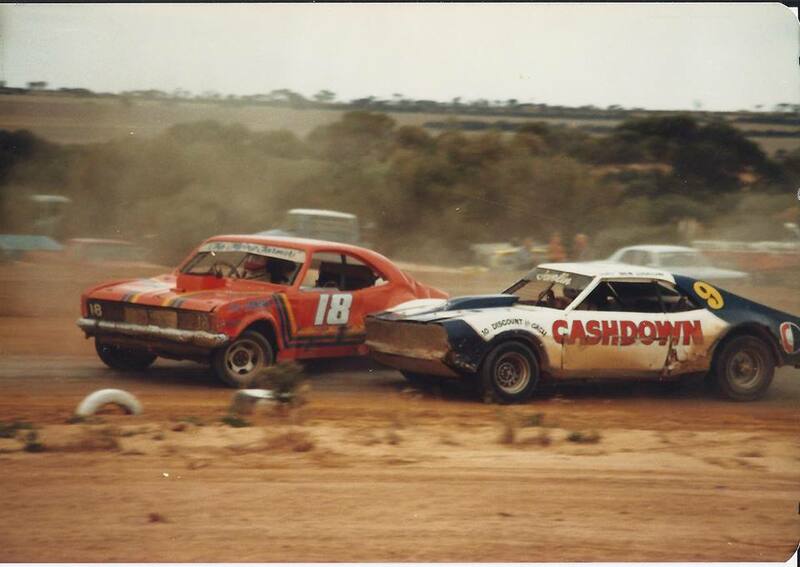 1979 Ben Ludlow in the 9 Rambler Javelin tries an inside line on Ian Metcalfe in the Holden Monaro. 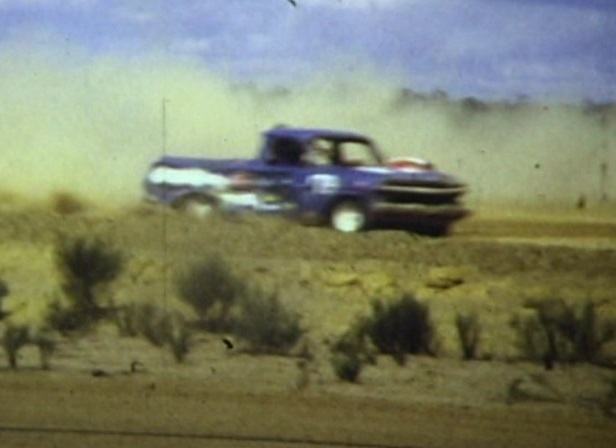 The race track is in very good condition and shows signs of some hoons that think the track is still open. The pole line concrete curb is still about 85% intact and in perfect condition. 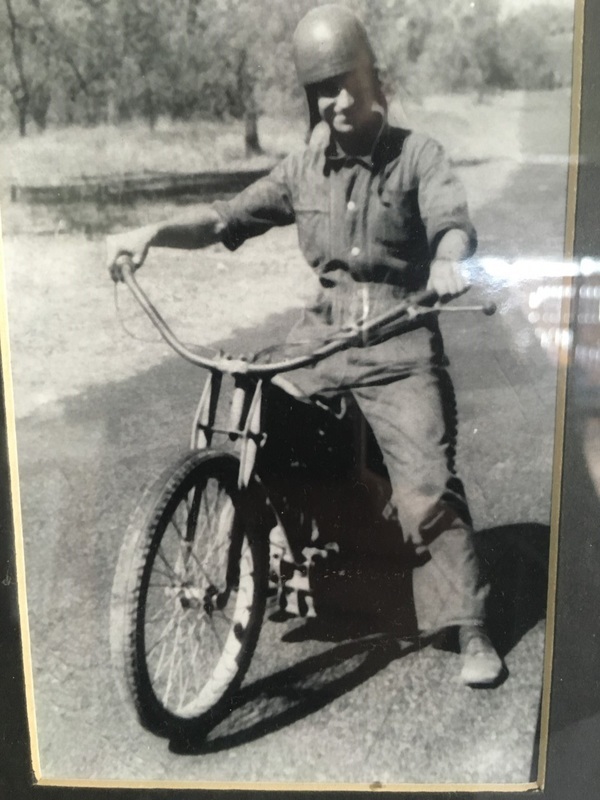 The motocross track that surrounds the entire speedway track is in poor condition but the starting gates are still working. The infield has been consumed by natural regrowth and all the sites buildings have been destroyed by vandals.